Is The Mold In My Home Dangerous? Mold is everywhere and all around us at all times including in our homes, in the outdoor air we breathe and even in our apartments, dorms and work spaces. Problems can arise when the mold is allowed to flourish in damp, enclosed spaces where high moisture is present. Do You Have An Allergy To Mold? The issue of whether the mold is dangerous or not depends on several factors. First, if someone has an allergy to mold, then any type of mold can pose a threat. Allergic symptoms due to mold exposure can range from headaches and a runny nose to sneezing, coughing, itchy eyes, nose and throat or dry, skin. Symptoms depend on the person and can range from mild to severe. If you have asthma and a mold allergy, the mold can trigger a severe asthma attack. Second, if the type of mold that is present is one that produces mycotoxins, this can pose a threat if the right conditions are present for the mold to grow. Damp, dark spaces that have trapped moisture can fuel uncontrolled mold growth. Does Your Home Have Dangerous Mold? Water leaking into the home from leaky windows, an old roof or basement can become trapped behind drywall where it can begin to grow quickly inside of 24-48 hours. The cellulose from the wet drywall nourishes the actively growing mold. The mold spores travel through the wall cracks and other small openings into the home where it can then pose a threat to health. If you see some visible mold, just because it may be black in color does not mean that it is dangerous. On the other hand, if the mold is not black, it may still be dangerous. Green, blue, white, black and yellow molds can also be dangerous. One of the easiest ways to tell if the mold is dangerous is to invest in a mold test kit. 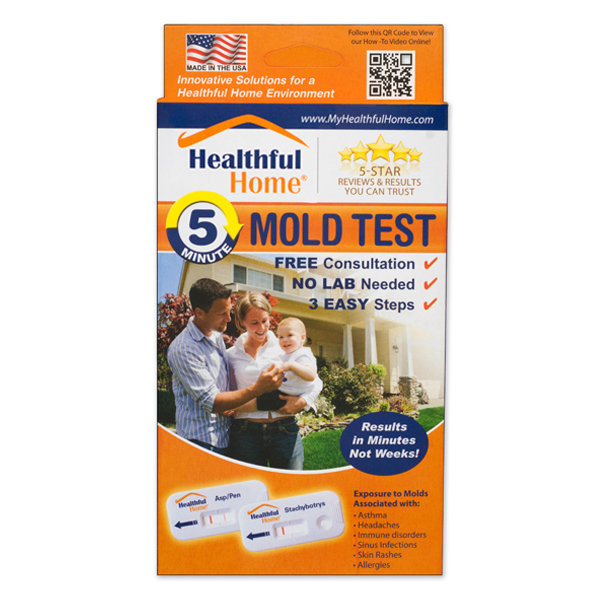 Healthful Home Product’s 5-Minute Mold Test Kit is a safe and cost-effective option. It contains two testing cartridges. The first indicates the presence of the most common harmful molds including penicillium, cladosporium, paecilomyces, and aspergillus. 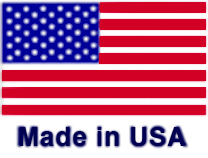 The second indicates the presence of one of the most dangerous molds, Stachybotrys chartarum, AKA “black mold”. It’s important to note that even if the mold is growing behind the wall, this test kit can detect the mold on the inside of the home. This is a unique test kit that is easy to use, provides fast results and is a reliable indicator of dangerous molds. Other in-home tests can only indicate the presence of any mold, both harmful and not harmful. As black mold grows it releases cytotoxic mold spores that can cause a range of very dangerous symptoms in humans from a respiratory infection to cancer. Chronic coughing and sneezing, irritation to the eyes and mucus membranes, rashes, chronic fatigue and persistent headaches can all be an indication of black mold exposure. If you suspect you have a mold problem, it’s important to get it tested. This is the only way to know for sure. 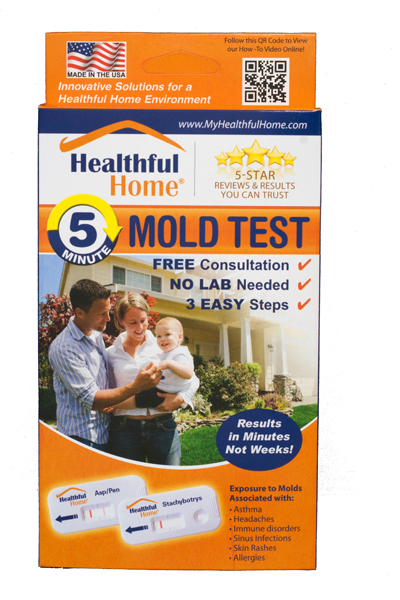 For more information on the 5-Minute Mold Test visit www.healthfulhome.com. Opened the box, watched the minute & a half video on their site, did test and got my results....total time from start to finish was less than 10 minutes! Highly recommended. View more . . .